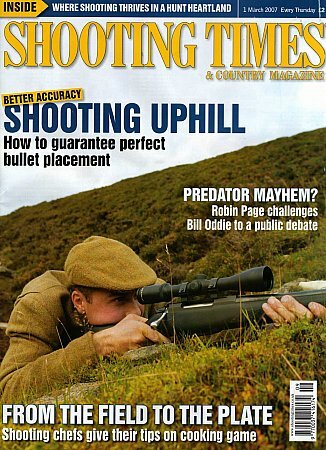 It is preferably attached to the scope tube at 90 degrees from the bore, by a ring mount fitted in front of, or behind the parallax adjustment knobs, depending on your eyesight preference. The ACI works on any shoulder mounted weapon system and on almost all types of optic. 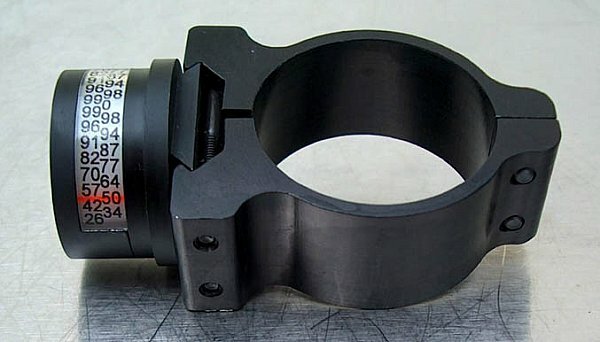 If it will not fit on your scope( eg.on some Schmidt and Bender PMIIs with adjustment turrets) then it can be fitted onto the Picatinny rail. (If the rail mount option is resorted to, it should be taken into consideration in the calculation that the eye is not seeing the cosine number straight in line with the scope tube). An ACI can be used on your scope, spotting scope, bow or binoculars. The cosine marks go up in increments of 5 degrees starting at “0” so you can also work out the angle of the shot if you wish (making it compatible with most etched reticule based sighting systems, and also the Mildot Master). When the weapon is held at an angle, the ACI indicates the cosine number of that angle by means of a highly visible index mark; for mathematical simplicity you should treat these marks as decimal or percentages, whichever you find easier, hence 87 would be .87 or 87%. The "Established Range" (distance to target at the indicated angle) is then multiplied by the reading.WHAT DOES THIS DO? 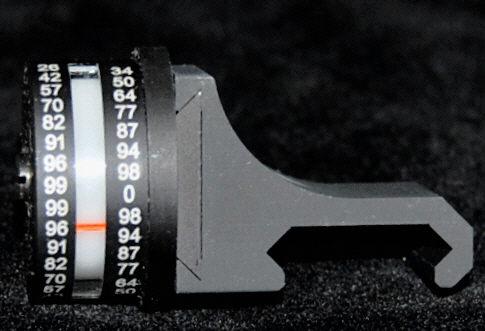 The ACI should be mounted with a ring and is available to suit optic tubes in diameter 1 inch, 30mm or 34mm. When ordering, please select from the drop down list to suit the size of your tube . 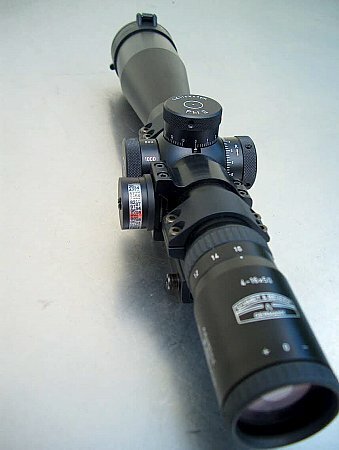 To obtain the correct reading of the cosine numbers, the ACI should be fitted on the tube of the scope and viewed along the scope. However, if it is not possible to fit the ACI on the scope because of illuminated turrets or mounts which get in the way, then alternative mounts are available to fit the ACI onto the Picatinny rail. See below.